Under new ownership. Open 7 days a week. 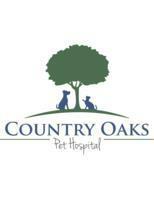 Services Rich Johnson, Veterinarian practices at 4636 Fair Oaks Boulevard, Sacramento, CA 95864. To learn more, or to make an appointment with Rich Johnson, Veterinarian in Sacramento, CA, please call (916) 485-2777 for more information. Does this veterinarian promptly return your phone calls?